Georgia Woman Sentenced for DUI Driving… With 4 Children in Her Car! A recent incident in Milton, Georgia serves as a cautionary tale for potential Los Angeles DUI drivers. On Tuesday, July 8, Milton resident Marjorie Rose Ryan-Santos pled guilty in a DUI driving incident that led to a car accident the week before. Ryan-Santos admitted not only to driving under the influence, but to endangering the safety of the four children riding in the car with her at the time. She received a sentence of 10 days in jail, and she was given credit for five days served after her arrest. In addition, she faces community service, probation, and a license suspension. 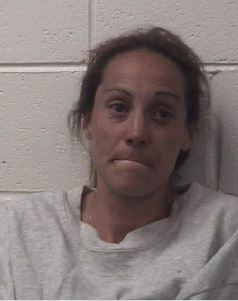 The Milton Police Department reports they arrested Ryan-Santos after the accident due to her slurred speech, unsteady gait, and blood alcohol level of 0.168. Thankfully, the car accident did not lead to any injuries for Ryan-Santos or for the children in the car. The current condition and location of the children are not known. This Milton, Georgia, case represents a best-case scenario for individuals who drive under the influence with minors in the car. Fortunately, the driver and occupants were unharmed; however, many DUI accidents result in more tragic consequences. In California, the law often imposes harsh penalties on DUI drivers, which increase with repeated offenses and become considerably more severe with additional factors, such as child endangerment. When a DUI accident causes injury or death to passengers in the driver’s car or another vehicle, the responsible party likely faces jail time, hefty fines, and other life-changing consequences. The best way to avoid Los Angeles DUI charges is not to get behind the wheel of a car when you have been drinking. If not for your own sake, consider the life and safety of your passengers and other drivers. Kraut Law Group understands that everyone makes mistakes. Whether you face first-time DUI charges, a repeat offense, or more serious allegations regarding endangerment or injury, contact us today to learn how we can help you build a strong defense.